Professional handyman service for all your project needs we have experienced staff with decades of experience in all related fields our reliable friendly handyman have a keen eye for fine attention to detail in all aspects of your projects. We are servicing Melbourne and surrounding Metro areas with other specific tradesman to complement this service. 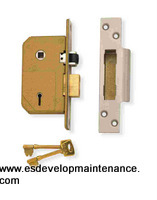 locks are an often needed item for all your doors some have old locks such as on the left side picture (Mortice Locks) they can be replaced or upgraded very easily with some correct planning. 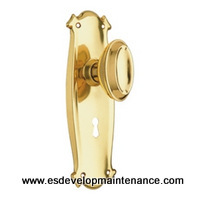 Door handles can be upgraded or replaced with our professional handyman they can advise or upgrade you on the correct era of type of door handles to compliment your doors. 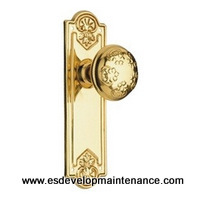 Ornate door handles can have a great effect on the interior of your house by matching the door handles to the era of the doors the effect can be stunning once these items are matched properly. Our handyman service offers punctual friendly tradesman able to complete your required tasks to the highest standards they will complete each task one by one so bring out the list. 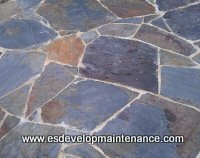 The simplist jobs need fixing from carpentry and painting to plumbing and other tasks having an all rounder that knows his stuff saves allot of time and money with different tasks.